Sustainable Fisheries | Brim hf. Brim Seafood operates 2 freezer trawlers: Gudmundur i Nesi and Kleifaberg around Iceland’s 200 mile EEZ where our fishing mostly takes place. Our vessels are all outfitted with the state of the art equipment for the production of FROZEN AT SEA goods. 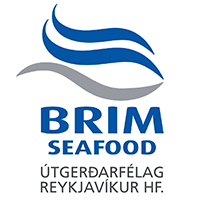 Brim Seafood has direct access to Iceland’s diverse range of species around its waters. We are committed to the full utilization of sustainable fisheries.